On average, content marketing generates around three times as many leads as outbound marketing. Not only that, but your content costs 62% less to produce. It’s no wonder the content highway is getting more crowded every day! The solution to stand out? Evergreen content. Forrester suggests that the average person consumes 11.4 pieces of content before making a purchase. The chances are that those pieces of content aren’t new stories. 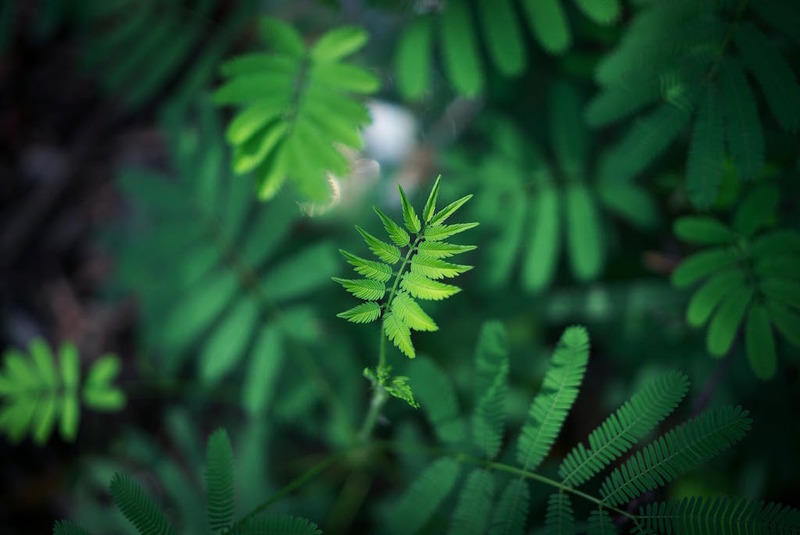 It’s time to discover the value of going Evergreen. Content in all of its forms helps to breed credibility for your brand. Evergreen content shows that you can do more than just “report the news.” You can also deliver value based on your in-depth industry authority. DemandGen suggests that 95% of B2B buyers look at content to determine if a company is trustworthy. Evergreen content is time-consuming and often difficult to make. Writing or producing a piece that can last for years at a time isn’t easy. 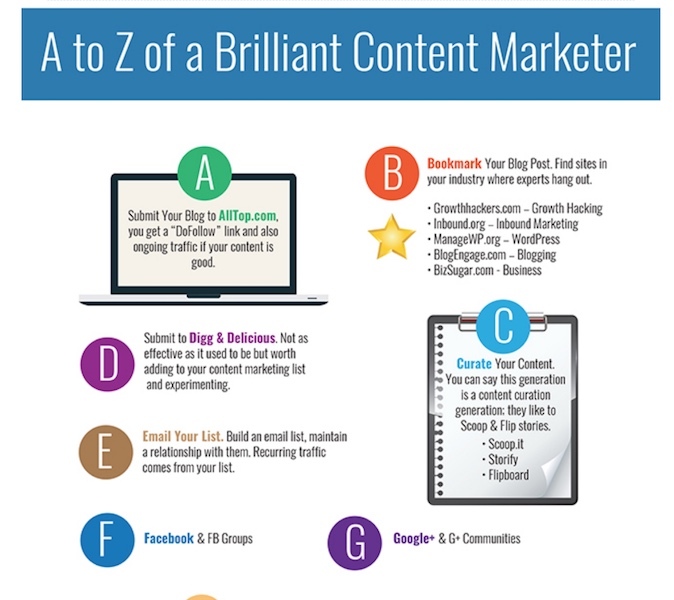 However, if you can get it right, then you could build one of the most potent forms of content available. – Gives you higher search engine rankings: Because evergreen content is valuable and high-in-quality, it captures customer attention for longer and generally receives more backlinks too! – Generates leads consistently over time: Your pages continue to receive traffic consistently over the years, rather than just providing a few weeks or months of value. – Builds your brand: Your customers will judge you by the quality of your content, and your reputation will begin to develop. 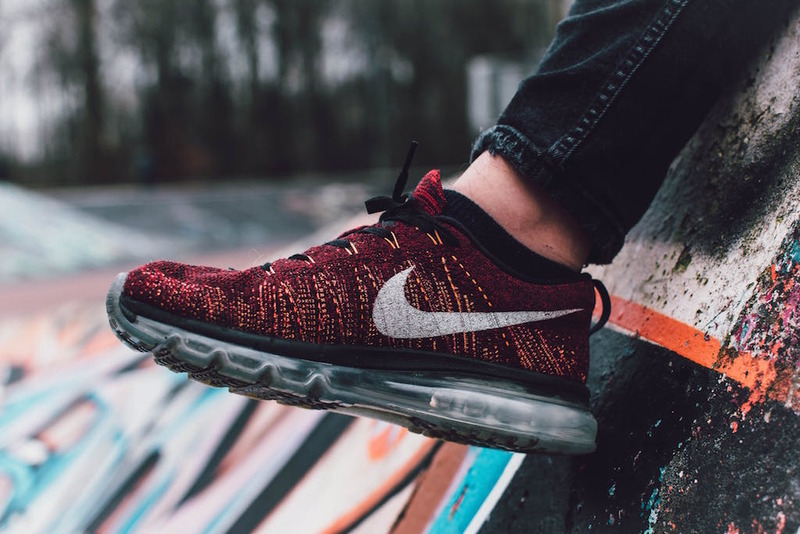 You may even start to see higher levels of brand loyalty. Websites all the way from Sprout Social to Neil Patel’s website have built a significant online presence through evergreen content. One brand, Wallaroo Media, even managed to grow their traffic by over 1,800% using Evergreen content, within 14 months. Whether you’re selling SaaS, technology, fashion, or legal advice, evergreen content is a valuable component of any content marketing strategy. So, what kinds of evergreen content can you create? Ultimate guides are some of the most potent forms of content available online today. These guides are designed to introduce a reader to a topic and guide them through understanding that topic all the way from start to finish – a little like what we’re doing here today. Since around half of all 18 to 49-year-olds get their information online according to the Pew Research Center, it makes sense to build a content plan around the delivery of information. They’re long-form – typically several thousands of words long. They’re in-depth – they dive into the real meat of the topic and provide actionable advice on how to achieve the objectives of the concept. They’re rather text-heavy – it’s all about explaining something to a reader in-depth, although a images can be helpful. They’re broken down into multiple sections or chapters – often these can be converted into a selection of blog posts. They’re very popular for gated content – placed behind an opt-in form; ultimate guides help you capture subscribers and leads. 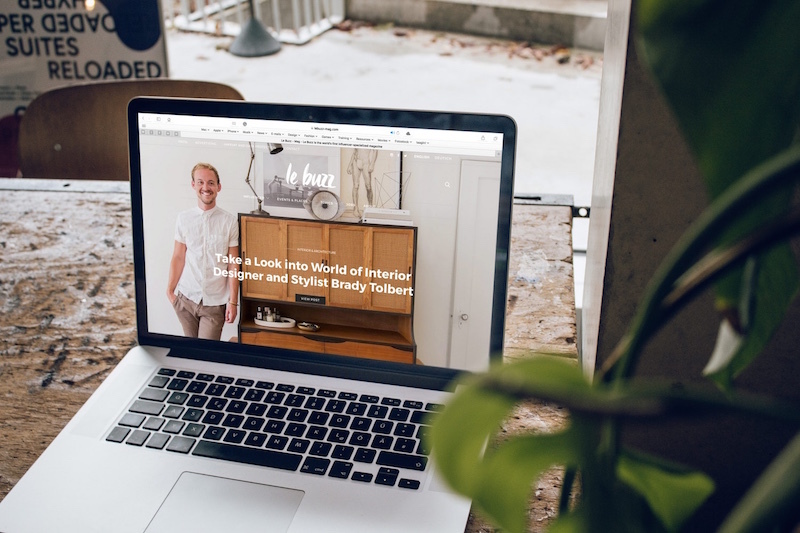 When it comes to ultimate guides, Shopify does this in spades with their Ultimate Guide To Dropshipping. This massive 11 chapter guide covers all the core components of starting your own dropshipping business and is packed with actionable information from clear as day instructions to resources and links to get you going from scratch. SEO is perhaps one of the biggest online disciplines and most impactful topic any online marketer aspires to master and that means a huge demand for instructional content on how to climb the online rankings. With almost 9882 shares, Backlinko’s Definitive Guide To Backlinking is the go-to guide for online entrepreneurs seeking for a comprehensive and yet actionable solution to help them understand link-building. An additional way to promote your ultimate guide is to PDF your guide give your reader an avenue to download it for easy access offline. While this might not directly affect your article’s SEO, it helps brand awareness and keeping your business at the back of their minds which could lead to a new customer sometime down the road. Most evergreen content is challenging to create because it requires a lot of time and effort on your part. However, you don’t always need to create your pieces from scratch. Since there’s so much content already floating around on the internet, you can tap into the value that other authors can offer and organize that content into something valuable for your reader. For instance, for backlinking, you’d need to explain how to identify backlinking opportunities, create link-worthy content, and reach your target audience. You can’t just post 50 links on a page and call it a curated resource. You’ll need to break the information down with headers and sections that simplify the process for your reader. – Write introductions for each section to guide your readers on which pieces of content they need. – Watch out for outdated resources and broken links over time. The beauty of developing a curated guide is the amount of time-savings you can enjoy without compromising on the quality of content you present to your users. 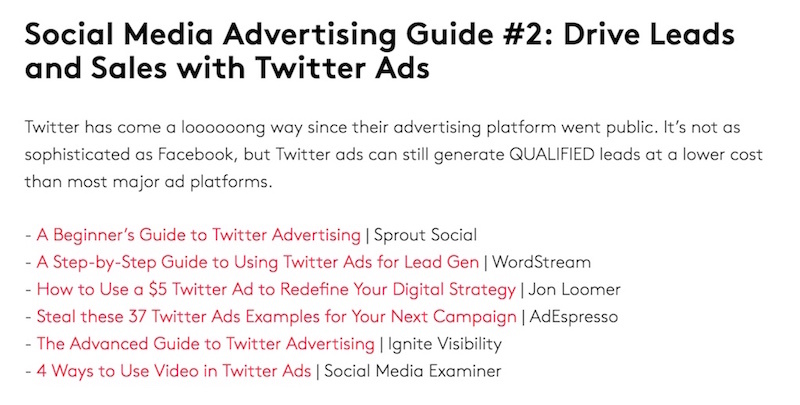 Coredna’s Guide to Social Media Advertising might sound like an ultimate guide but it is actually a curated resource. By splitting the entire broad topic of social advertising into key chapters, Coredna easily sources for the best content from influencers and industry experts relevant to each chapter. With a quick summary of each chapter and what to expect, they list down the most important guides online to give a comprehensive list of resources for the reader – tapping on the best articles already researched and written. Sometimes, all your customers want from you is an introduction to an important topic. 67% of the typical B2B buyer’s journey happens online according to Lenati, and everyone needs to start somewhere. 101 guides are some of the most popular and accessible forms of evergreen content because they introduce an idea or concept to your reader. These guides aren’t designed to go in-depth, but they do provide immediately actionable instructions that can be used to enlighten and empower a reader. They give you space to develop your SEO strategy and build your reputation, but they rarely work well as gated content or lead magnets for conversions. – Target large broad topics like SEO, User Experience, Web Design, or Artificial Intelligence. – Focus on your core competency, while keeping your audience preferences in mind. An excellent way to pick the right topic is to look at easy-to-understand, high-search-interest solutions. – Include additional links to sources that might help to expand a reader’s knowledge about the topic. – Cover the most pressing areas of the topic designed to give your readers the most significant rewards. 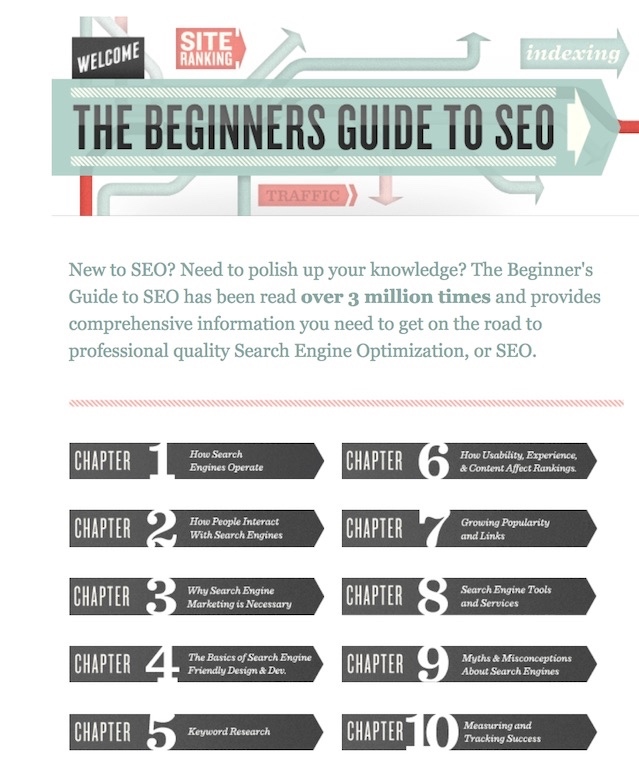 In the SEO world, one of the most popular beginner guides around is The Beginners Guide To SEO by Moz. With over 10 chapters of solid content covering the core aspects of SEO, Moz follows a narrative structure to their guide, gently introducing the reader into real world concepts they can relate to before jumping into the more technical aspects of SEO. In addition, every concept within a chapter clearly brings the reader through its importance, its application relating to the SEO world and how to use it in their own business websites. Clear and actionable content, it’s no wonder their guide is the one every beginner will probably start off with before venturing into deeper and more in-depth content. Evergreen content doesn’t have to be complicated or overwhelming. Lists happen to be some of the most effective forms of Evergreen content out there because they provide your audience with easily consumable, useful information that stands the test of time. Checklists aren’t necessarily the same as a simple long-form article or list. Instead, a checklist is designed to take your reader through a process in a step-by-step format, guiding them from point one, all the way to their conclusion. The great thing about a checklist is that it can work just as well as standalone content, or gated content either – so it may help you to gather new leads. At its heart, the checklist is all about condensing a significant amount of valuable information down into a concise series of steps and essential information that your reader can follow to accomplish something. 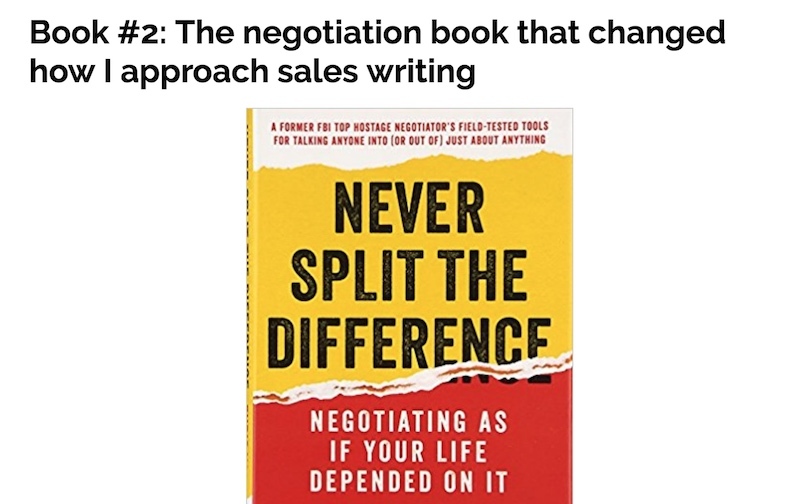 As copywriters ourselves, we always seek for a faster (and reliable method) to deliver value to our projects with great copy and one of the best lists out there is the one created by Aaron Orendorff. 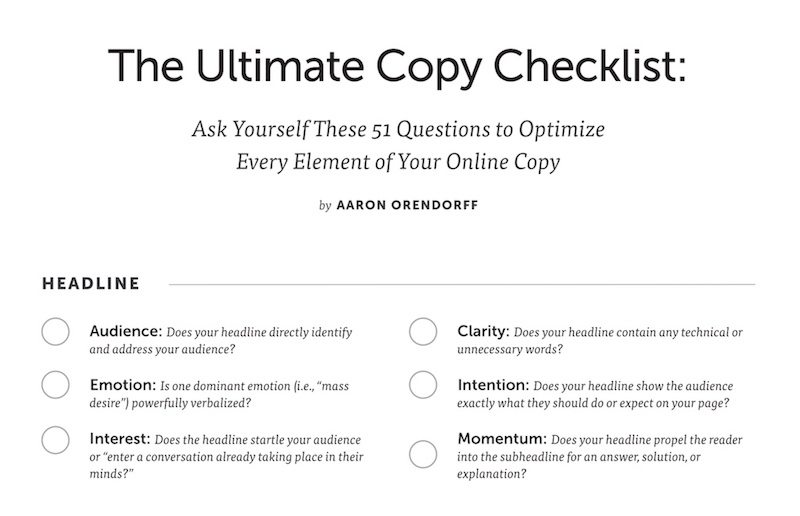 Strategically crafted to target both online marketers, entrepreneurs and copywriters themselves, this checklist stands out as a comprehensive resource that allows readers to follow methodically a sequence to optimize their online copy. With each section concisely summarised to only feature the critical steps needed (with some helpful instructional explanation), checklists like these will stand the test of time as an evergreen resource. Content marketing today is quite a minefield and learning to navigate the landscape is critical to success – so why not accomplish the goal with a checklist! Instead of the classic blog post checklist, Page Traffic opted for the infographic approach, converting all 40 points into an engaging and colorful checklist which not only provides snappy and valuable content but also is highly shareable on a variety of social platforms including Pinterest, Facebook groups and LinkedIn. Engagement is one of the most important metrics you can measure in your content marketing strategies. A great way to get your customers engaged is to help them become a part of the learning or entertainment journey. Interactive and content and tools are a fantastic way to embed your reader into the midst of the evergreen content you produce. The power of interactive content and tools come in their ability to deliver instant value to your audience. These pages have a useful function that means that they’re likely to end up bookmarked in your customer’s library. Conduct intensive research to make sure that there’s a genuine need for the content – look for search interest and the broadness of the problem you’re trying to solve. Make sure customers can’t easily resolve their issue elsewhere. Regularly update the content or tool – particularly if you’re in a dynamic and ever-changing market like SEO where algorithms are continually changing. Continually promote your tool and content through social media, paid advertising, influencers, blogs, forums and more. Inbound SEO isn’t enough. As one of the highest profile marketing bloggers around, Neil Patel understands the need to go beyond traditional content and to capitalise on the move towards interactive tools. 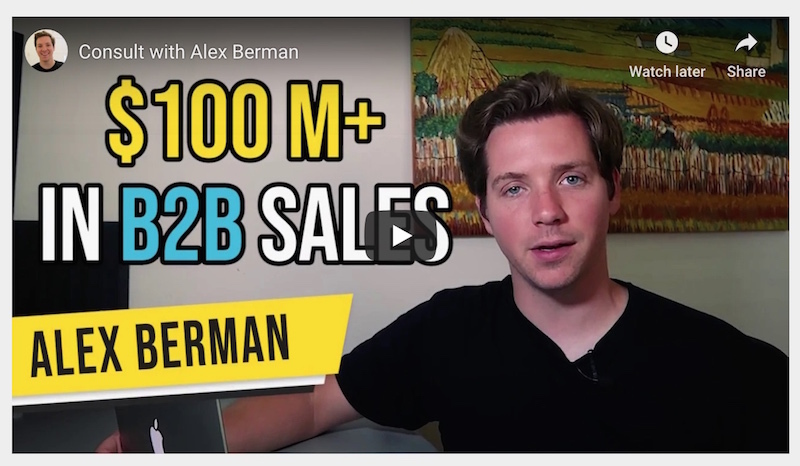 He spent over $120,000 spent to acquire Ubersuggest, a keyword tool, and it’s no wonder why – the tool itself was generating 117,425 unique visitors per month with over 38,700 backlinks! 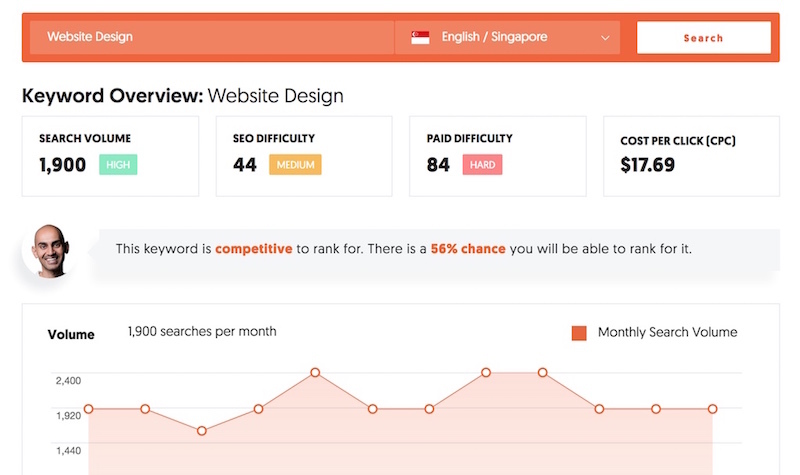 The beauty of Ubersuggest was the ability not just the ability to easily gain new keyword ideas but also giving CPC (cost per click) data for free when other tools are charging for the service, such as keywordtool.io that priced that one feature at a whopping $49/month. While creating an interactive tool could definitely bring enormous rewards, the key lies in analysing the needs of your audience and if you can deliver an essential feature for free versus the current competition, you would have created a piece evergreen content that would draw in a huge amount of traffic. According to DemandGen, 78% of B2B buyers use case studies when deciding where and when to make a purchase. Depending on the kind of business you’re running, case studies can become an instrumental evergreen piece of content that serves multiple purposes. First, it educates your reader on how to solve a significant problem that’s relevant to your industry. Secondly, it gives your customers an insight into how you resolve common issues. Out of all the content marketing available on the web today, the top three tactics are blogging (65%), social media (64%), and case studies (64%). Deciding which case study, you should convert into evergreen content isn’t always as simple as it seems. First, you’ll need to get approval from the client – which can be tough when sensitive information is involved. Help solve a problem that the majority of your prospects will face don’t just address an obscure issue. Gives the reader a chance to look at the strategies and tactics you used to solve the issue in depth. Make sure you can link to results and screenshots for credibility. Showcase fantastic results that demonstrate your value as a business. Remember that you’re not just giving your reader information about their potential roadmap for success – you’re also promoting your services and company in a subtle, value-added way. p.s. Consider adding a testimonial at the end if you can! While most companies use case studies as a tool to convert potential customers, not many use them (or understand how to utilise them) as a tool for creating evergreen content. Copyhackers took a successful client project and converted it into a long form blogpost teaching online marketers how to optimise copy for a homepage. – Framing each section as actionable as possible to the reader, allowing them to use the information in their own landing page and business situation. There are few things more valuable in the world of content than a fresh idea. Even though evergreen content is one of the most important forms of content on the market, it still needs to offer something unique to your audience. You’re not the first person to explore this opportunity, and you won’t be the last. Tell your business story: Show how your company has grown over the years or overcome complex challenges. You’ll give your readers a success story to replicate, and you’ll provide them with information and insights they can’t get elsewhere. Tackle an existing idea through a different lens: Take a different approach to a common idea. For instance, many SEO articles consider the power of backlinking as a way of increasing search rankings. Why not look at links in a different way? Conduct in-depth research or use your own website as a test subject to explore how to rank a site without backlinking. For instance, you might use pure SEO and content creation. Get the information itself from your network and users: If you have an established user base, conduct a survey asking for an opinion on the subject you’d most like to cover. To make sure you maintain your credibility, it’s essential to restrict the survey participants to a pool of paying customers. Moz’s Research On Analyzing 1 Million Articles. As a dominant player in the SEO world, creating evergreen content is one of the main strategy Moz utilises to help retain their search dominance. By conducting their own research, they have created an original research that will not only be 100% fresh but also stand as a lasting reference for future content creators to point back to – that means precious backlinks! Leveraging on their strengths of what works and what doesn’t in SEO, they went through a million articles and gave their readers a no-nonsense top level view of the real situation of content marketing today with data-rich facts. Packed with graphs and actual research charts, the article breaks down and guides the reader to the best strategies to take as well as the biggest misconceptions to understand before they can achieve SEO success. Interviews have become an increasingly popular form of content lately, particularly with the rise of things like Facebook Live for quick Q&A sessions with social media influencers. Your expert interview can take any format you like, from a traditional blog post to a podcast, or YouTube video. Though there’s a lot that original content and ultimate guides can do to guide your readers through the challenges they face, there’s something particularly compelling about hearing from an expert and influencer. Asking influencers for details on how they built their business, the challenges they faced, and the advice they can give you on how to be successful. Though this advice is relatively generic on the surface, it’s useful as a form of history-based evergreen content. Covering a specific topic. With this evergreen content, you look at the niche your expert specializes in. For instance, you might get Rand Fishkin to discuss how SEO has evolved over the years. This is the preferred type of expert interview because it’s more useful to your target audience, more compelling to search engines, and even more interesting the experts you’ll be pitching to, as well. GrooveHQ’s Interview With Neil Patel. As a Saas help desk provider serving mainly startups and entrepreneurs, GrooveHQ recognises the need for content catering to the biggest challenges of their prospects – increasing their revenue, bouncing back from mistakes and the better way to build businesses. Their article ‘Neil Patel on Building Businesses, Learning From Mistakes and the ROI of Helicopters’ spins a classic self-help topic into one that is evergreen and jammed packed with the life lessons learned from a veteran serial entrepreneur himself. Time management through Neil’s eyes. While the above subjects could very well be covered independently, it will hold more weight and significance if it comes from a trusted authority source. Everyone has a specific target they want to accomplish. If you can help your readers or customers achieve their goals, then you’ll instantly have some great value to offer them. Almost every topic available will come with some “best practices” that you can arrange together to support your end-user, whether it’s web design or SEO copywriting. You can even use your best practices article as a way of conducting a round-up post, which involves going and asking influencers in your space about the best practices they adopt for the subject you cover. Using this strategy, you can inject additional credibility into your best practices, and even update your guide over time. In your best practices content, address the top pitfalls and mistakes that people typically encounter when trying to accomplish their goals. Giving actionable advice and corrective tips is also important. Make sure your audience can immediately get some tangible results from your offering. When it comes to social media, there are probably thousands of quality articles floating around covering everything from Facebook Marketing to building an Instagram following, however, this could easily be confusing newbies and even veterans alike. This is where best practices content comes in. As a leader in social media management solutions, Sproutsocial lays down the best practices that every marketer should follow. Generously packed with applications from real companies, the article leads the reader down the 5 best practices big brand are utilizing to attain social success. 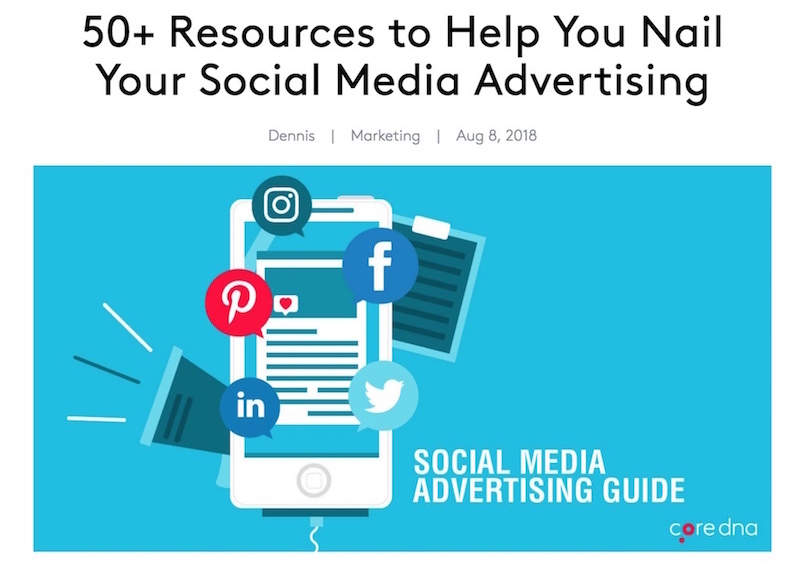 Each section highlights the importance of the practice before diving deep into actual examples and actionable instructions on how to beef up the reader’s own social media strategies. Product reviews are every day in today’s social-proof-obsessed environment. While reports from your customers are helpful to some extent, there are few things more compelling from a testimonial from an expert if you know how to handle them correctly. Product reviews provide a level of credibility and trust for your audience, and they can also be a useful source of traffic for your website. People appreciate the option to search for reviews before they buy a product. Fortunately, according to the Spiegel Research Center, displaying reviews on your site increases conversions by up to 270%. Make sure that you know how to structure your review before you get started. Analyze the item or service by looking at how it helps your business and drives results. Remember to discuss how you’re maximizing your use of the product or service, the pros and cons, and how the reader can benefit. 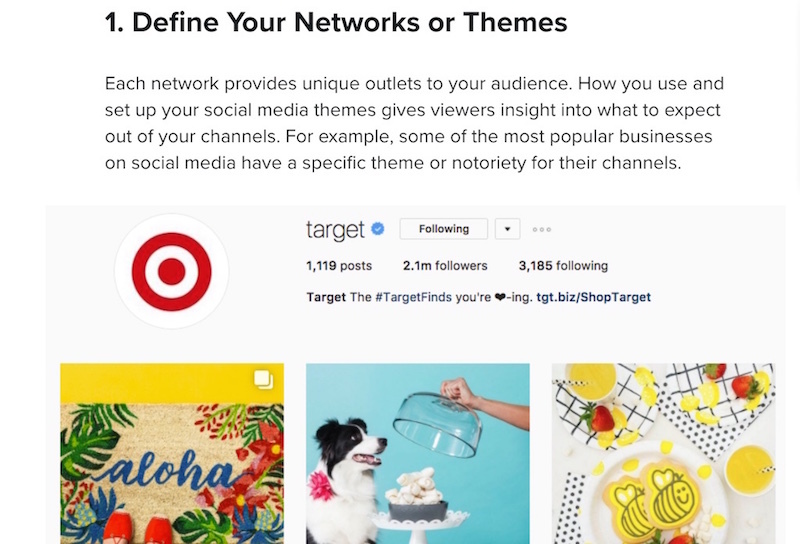 Address a significant challenge: Find a problem you’re facing, like reaching out to influencers and look at how the service or product you’ve purchased helps you reach your results. For instance, you might have improved your response rate by 50% through a cold email SaaS outreach tool. Provide an impartial review that pits products against each other: Here, you don’t just look features, you look at how each product performs in helping you overcome a challenge. For instance, you might determine which website builder is the most effective for SEO and explore elements like implementation, pros and cons, and technical details. Product reviews today are prime opportunities to turn an experience into an actual piece of evergreen content. 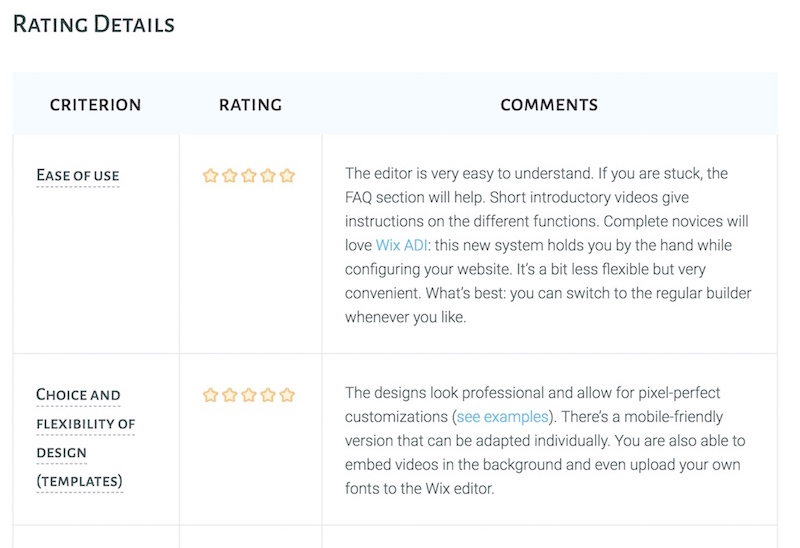 In the world of website builders where more than 10 powerful brands are vying for market share, WebsiteToolTester’s Wix Review article helps to guide readers into making a sound decision for their business website. Done in an interactive format, the product review contains the hallmark of a helpful article that covers every critical aspect of the website builder that a prospect should understand. ou need to make sure you’re segregating your influencers according to specific criteria and giving them a high-level introduction too. If your influencer list covers the top 100 social media influencers in the USA, for instance, you might separate your list into segments for Twitter, Facebook, and Instagram leaders, and include details like number of followers, email subscribers, mentions on social, and so on. A great way to increase the credibility of the list is to ask your influencer for a quote related to their niche which you can include in your article. 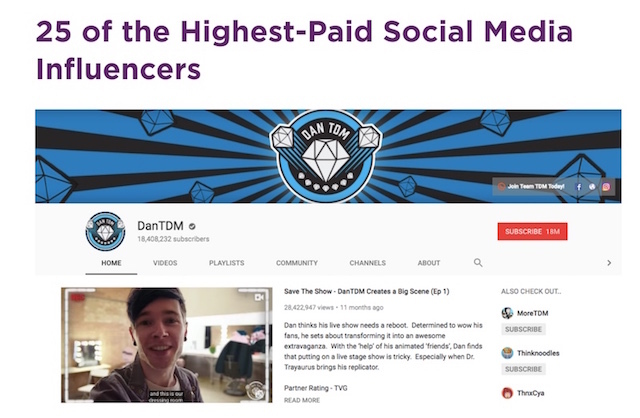 Additionally, instead of merely listing influencers on a page, you can also conduct mini-interviews with some of the top influencers and get their opinions on particular topics or issues. This will help you to form a compelling article for solving consumer issues. While a list article is a content that could drive traffic, it is important to note that they do have a shelf-life, typically requiring an update every year to stay relevant. According to Forrester, around 87% of B2B marketers say that they struggle to produce content that genuinely engages their buyers. Fortunately, evergreen content based on previous lessons learned could be a great way to tackle this problem. This form of evergreen content is rising in popularity because it builds on the power of a credible, first-hand experience that makes the material relatable and authentic. The victory/success story: Showcase to your reader the path you took to reach a particular goal. Everyone loves success stories, but most of your readers won’t know how you achieved the success you have today. Sharing the steps that you took and lessons you learned along the way is a fantastic way to provide some real value. This angle is available for almost any kind of company, particularly the larger ones. The failure story: This is a great frame to use for lessons learned too, as it provides insights into the pitfalls you can avoid when trying to accomplish a particular goal. Make sure you approach this concept carefully, and from a position of strength to make sure that you’re not causing doubts about the future of your company. Show that your business is adaptable and that it recovered from the failure stronger than ever. One of the most vulnerable (but effective) strategies is creating useful content around a business or personal failure of ours. Raya embraces her failure with gusto in this article, taking through the reader through her journey from start to crash without much sugar-coating. Adding in key-takeaways for her readers, she highlights lessons post-failure that her readers should take note of to increase their odds of successes. To establish significant authority in a niche, you’ll need to demonstrate your absolute knowledge of an industry or subject. A great way to accomplish this goal is to dive into the history of a particular concept. It needs to be historically accurate: If you’re a utility company covering the history of electronic cars, get the names of crucial people, dates, and companies right from start to finish. Present the best: You can’t cover 100% of a topic’s history, no matter how much you’re willing to write. With that in mind, pick the milestones you consider to be the most important and go in-depth into the impact that the moments had on the world and niche. Present the most useful information and stats you can here. Link to sources: Make sure that your reader has opportunities to conduct additional research on their own. References will also make your articles more believable. If you want to take a visual approach, you can also transform your piece into an infographic for better shareability. In fact, 91% of B2B buyers prefer visual, interactive content according to DemandGen. Believe it or not, many readers are hungry for historical lessons on how their favorite came to be. However, while such accounts are readily available for mediums such as TV shows and popular movies, not much historical content is available for B2B topics such as content marketing and SEO. 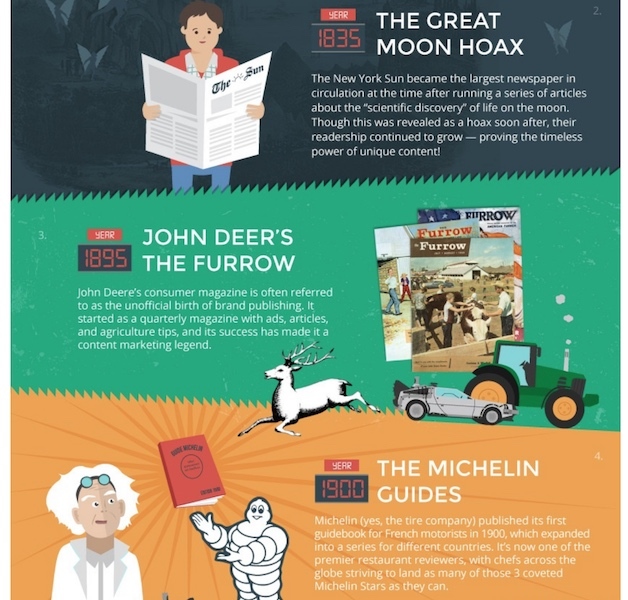 Hubspot cleverly capitalises on this and creates their own History of Content Marketing, infographic style using the sci-fi theme of ‘Back To The Future’ to make it more engaging and visually pleasing. Lists of resources are some of the most popular forms of evergreen content. One timeless selection of tools that never goes out of date, is books you recommend for a specific goal or industry. Whether you’re managing a big corporation or running an agency, you may have learned your skills from books or a mentor. The top books for your industry: Look for something relevant to your niche and audience. 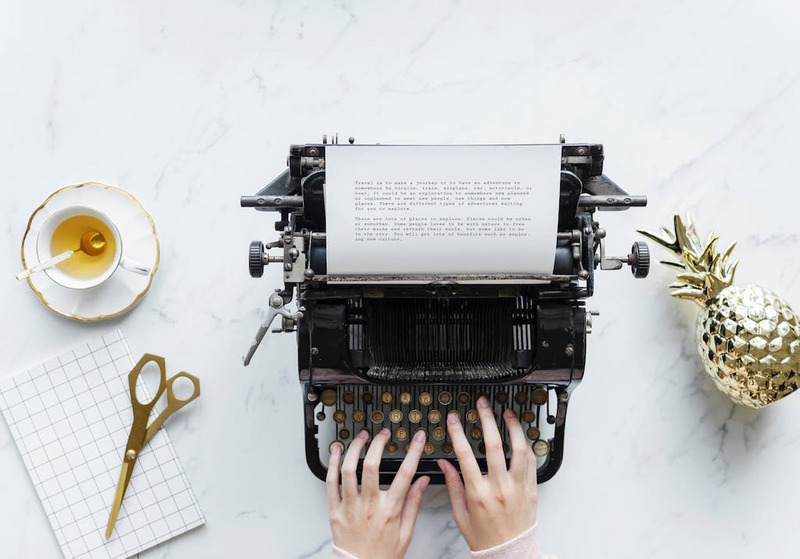 For instance, if you’re connecting with content marketers, discuss the top ten books for content marketing and copywriting. The best books to accomplish a goal: Give your audience the guides they need to achieve something. For instance, if your audience wants to improve their SEO performance, collect a list of the top books that will help them to rank online. As with any list; you need to offer genuine value. Don’t just throw down some brief reviews or blurbs. Go into the details of each book with a useful summary that covers the lessons you learned and how they can apply to your audience’s situation. You can also ask influencers to give their thoughts too! No matter the field you are in, there are probably a ton of books that are helpful in guiding you towards mastery in your craft. 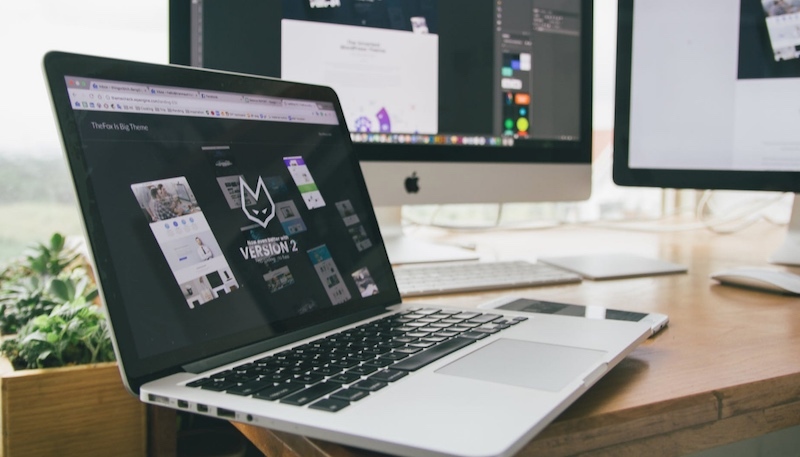 From website design to SEO, readers and entrepreneurs alike are hungry to devour quality resources to aid them in becoming the best they can be – but they face a big challenge – time. Which of these books give the most value? Freelancetowin’s list of top copywriting books solves this challenge by highlighting the top copywriting books avaliable. While it is easy to just list a bunch of title and link them to their Amazon sales page, that isn’t the right way to create a booklist that will be evergreen. Freelancetowin’s list goes in-depth into each title, pulling out important quotes and explaining them before explaining the suitability of each book to the right type of copywriter out there. Regardless of your chosen industry, from SEO to affiliate marketing and more, countless tools can help you and your audience to become more productive and profitable. For your top tools list to reach evergreen content status; your list needs to include plenty of comprehensive and actionable advice that your reader can take away. It is also crucial to update your content periodically and remove old tools that are no longer functional and updating to new tools that get the job done. Top tools list needs to go into significant depth. Great lists make people come back to them time and time again, and they’re highly link-worthy too! When it comes to lead generation and online sales, the funnel is too vast that it would be near impossible to handle every aspect of sales or even with a team! 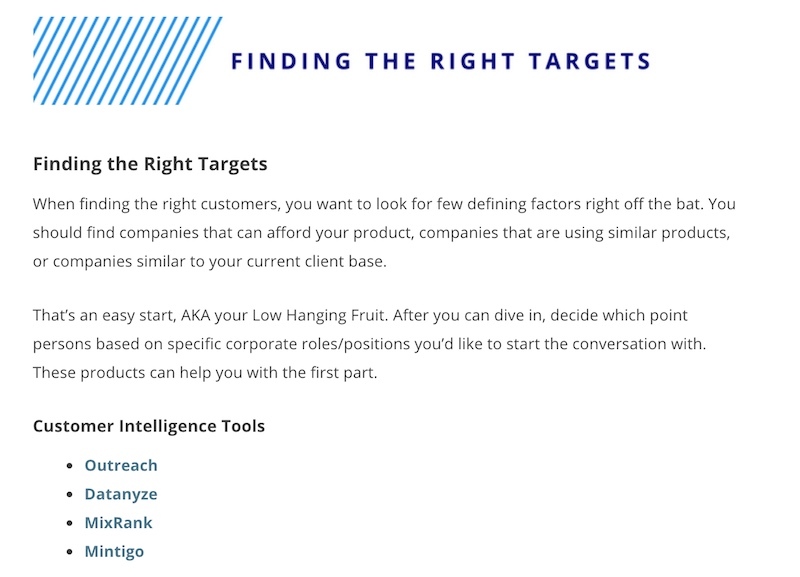 With their enormous list of 250+ sales automation tools, SalesHacker gives to their readers a comprehensive resource in finding the relevant tools (as well as alternatives) to each part of the sales funnel, from prospecting to deal-followups. If you seek to create such a comprehensive list, it is equally important to put in some effort to clearly segregate these tools into the right categories. This will not only help you with the right keywords for your SEO efforts but also allow an easier reading experience for your audience. Designing useful Evergreen content requires time, patience and a lot of planning. Evergreen content isn’t something you can throw together within 500 words when a new trending idea comes out. You need to think about how you can provide timeless value to your audience. What’s more, evergreen content isn’t a set-it-and-forget-it strategy. Once you’ve produced something that genuinely appeals to your audience, it’s crucial to keep going back and updating your work. Digital agencies like Orbit Media suggests that only 55% of content writers update their old posts, but those that do are 74% more likely to get results. As tough as it can be to design the right evergreen content, it’s worth your effort. Get this strategy right, and you’ll have content that continues to generate credibility, loyalty and leads for your business for years to come.